The FFA has had innumerable successful projects over the years. 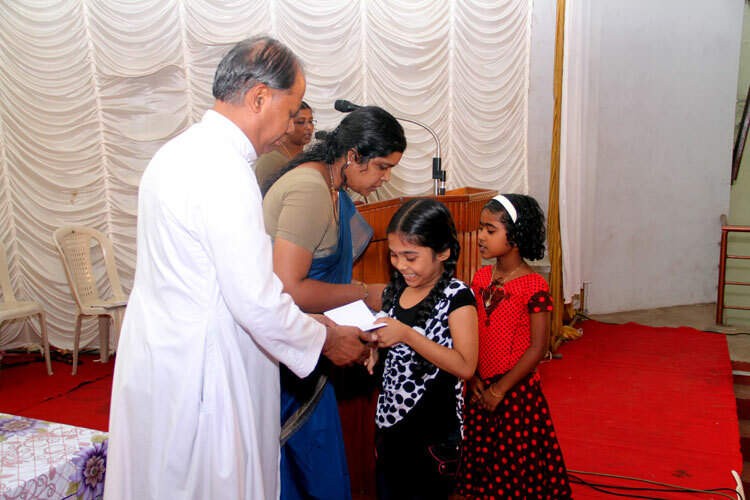 One example is The Children’s Welfare Fund which was introduced by Sr. Daphne and has been in full swing since 2012. Each beneficiary family contributes Rs. 365 ($6.08) yearly towards the creation of a merit award fund. Over the past three years Rs. 6,03,598 ($ 10,059.97) has been collected. The money will continue to be collected over the next two years and will then be put in FD’S. The interest earned from these FD’s will be used to give merit awards to students. The biggest achievement of this project is that children of our beneficiary families have taken it as a challenge to improve in their studies. They are very proud of this honor awarded to them on our Feast day. The success story of one of our talented girls, Priyanka Laslet, is very inspiring. The daughter of Shalet, a widow from Saudi, she came up with nine A+ and one A in her 10th grade exams. She also scored A+ in her 12th grade. 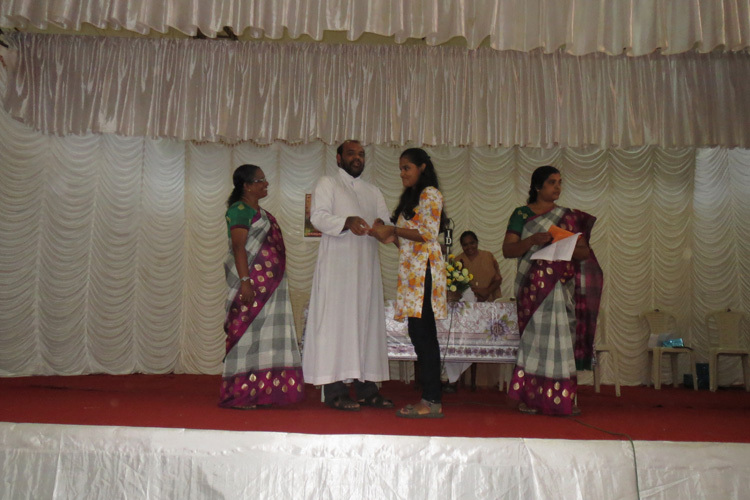 She was interested to go for MBBS but with timely guidance from Sr. Daphne, she made a wise decision regarding the career choice of her life. As a daughter of a poor widow. she had financial limitations and Sr. Daphne helped her understand this. She opted for BSc Physics after which she can go for a PG degree and have a bright future. If she would have gone with MBBS, the family would have been in great debt and without any specialization she could even have lost her career. Our children are encouraged to work hard in their studies. Education changeth a man goes the saying. It is only through education we can change the attitude and thus the culture of a people. To bring about a change you have to dream – with the creation of this merit award fund, the children of our FFA families have started to dream. We have many talented children who are bright and creative. 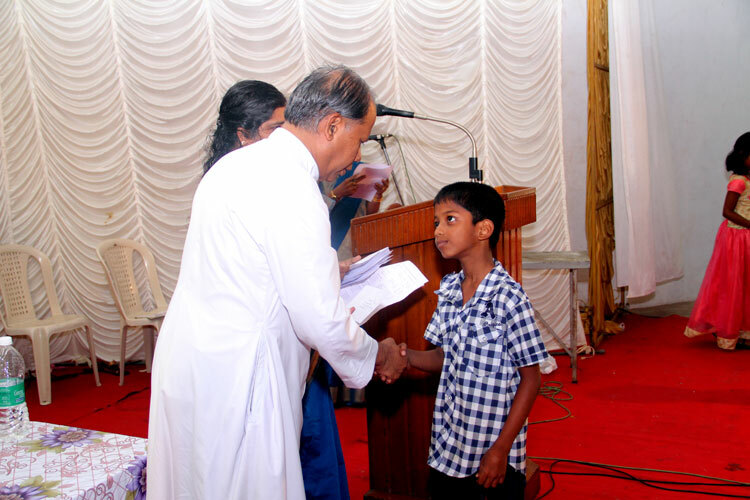 They only need to be “tuned and trimmed.” With the commencement of our merit award program, our children have made a huge progress towards making their dreams a reality. ← Family of the Month – The Bhutti Family – Sponsored!